Decorate walls with LOL Surprise! Peel and Stick Giant Wall Decals by RoomMates. 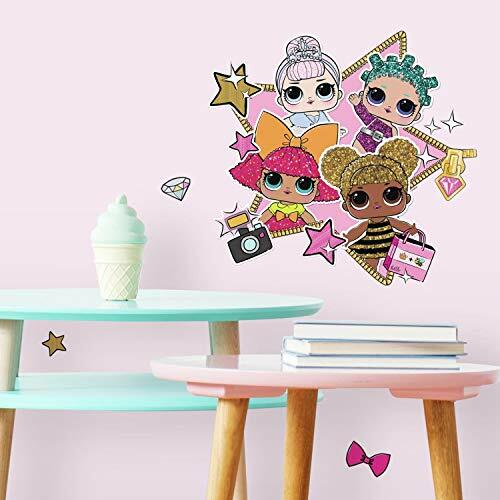 Complete with 11 decals, this wall sticker set is a fun and creative way to transform any room in seconds. To apply, simply peel and stick decals to any smooth, flat surface. Remove, reposition and reuse as often as needed. Created with high quality vinyl that’s made to last, walls stay completely safe, and sticky residue is never left behind. It’s fast, fun and affordable wall decor at it’s best.